I live near Geelong, a regional city which is a bit down on its luck at the moment. It used to be an industrial town, but the industries have closed, or will do soon. There are other ways to prosper besides making cars or smelting aluminium, but the transition isn’t easy. Making things harder is that the city government has lurched from problem to crisis to, just recently, being dismissed and replaced by an administrator. We are not Detroit, but on a much milder level the trend is the same. Our future lies in services, ideas, creative industries. There is a strong music scene here, and one thing I would love see is some enterprising soul build on that, invest in turning empty factories into busy recording studies. No reason at all why Geelong could not become the place for affordable, professional recording. Art thrives on cheap rents, and that we have. As you can see, it is artfully presented and – most important – the music is strong. As is often the case with Millennial Vinyl, the record comes with a code allowing you to download a digital version. 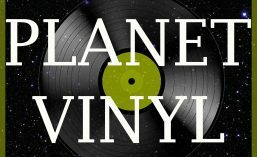 But that is not the way we roll on Planet Vinyl. I have, quite pointlessly, digitised the disc, just so there is the faintest hint of surface noise in there. This band is a going concern, so if you like what you hear, please do catch a gig or go onto iTunes and listen in a way which sends a little love to Sweethearts. This entry was posted in 45 rpm, 7", Millenial, Single, Soul and tagged Australia, Creative industries, Geelong, Millenial vinyl, Nu Soul, Soul. Bookmark the permalink. ← Hammond. Not the organ.